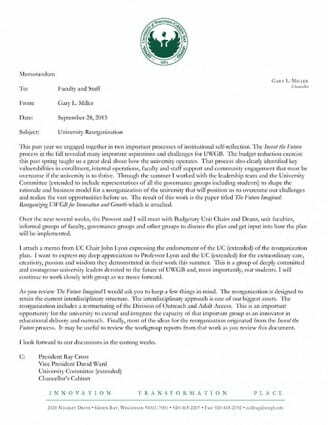 The UW-Green Bay Office of the Chancellor e-mailed the following message from Chancellor Miller to faculty and staff on Monday, September 28, 2015. 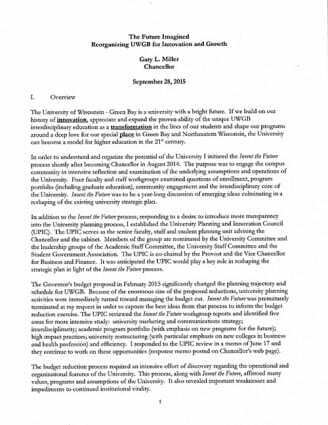 The Future Imagined: Reorganizing UWGB for Innovation and Growth. As explained in Memo # 1, there will be many opportunities to discuss these plans.